Every day upon request at 5AM. This is a combination of nature, trekking, local food and unique cultural exchange. 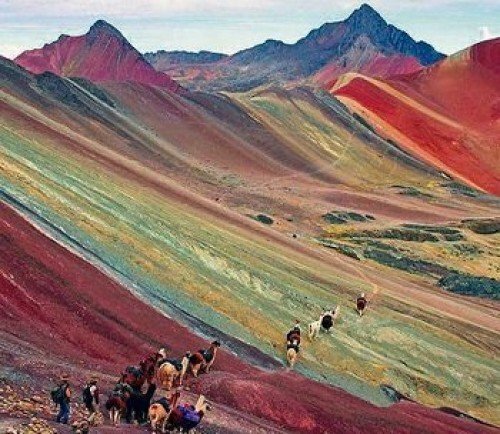 Visit a local community on the way to Vinicunca, hike the Rainbow Mountain and enjoy an authentic and local experience in the nearby indigenous communities, where you'll share time and meals with the locals. 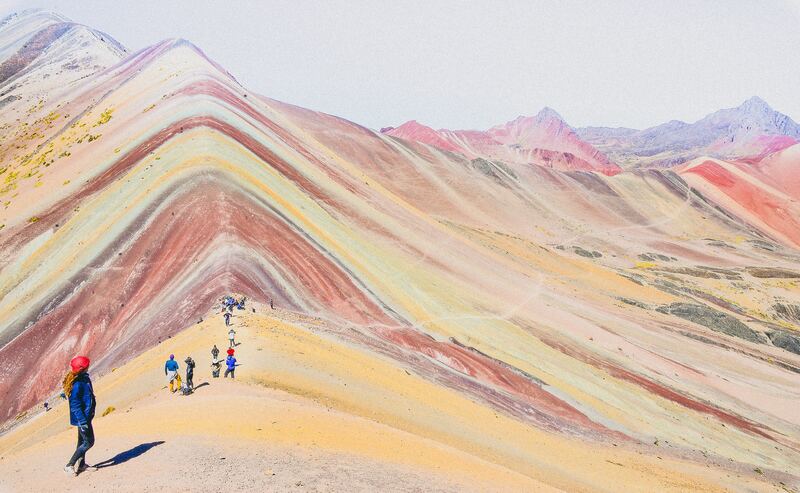 You'll trek the beautiful Rainbow Mountain in a kind way. Support the Chari indigenous community. Support local families who cook for you and who are open to sharing their life and stories. • It includes private transportation with pick-up from hotels in Cusco and back. There’s a lot to do today so this tour has a very early start! Your guide will pick you up at 5am from your hotel in Cusco. There’s a two hours bus ride where you can rest on the way to the indigenous community of Chari in Checacupe. The women weavers association “Pallay Lliqlla” will welcome you and prepare a delicious local breakfast for you. Your journey continues through the beautiful landscapes of Pitumarca to get to the village of Chillca. Here you’ll start a 3-hour walk through the breathtaking landscapes and views of the Apu Ausangate to reach the summit of the Vinicunca, Rainbow Mountain. This mountain is amazingly beautiful and natures way of making you feel humble. During this walk you’ll learn about the landscape and hear stories about life in this community. You’ll be rewarded upon your return to the Chari community, with a warm meal and some time to relax and take the nature in as you talk, hear the communities stories,and share your experience. The bus will take you back to Cusco around 5.30pm so you can expect to be back around 8 pm.